When Ed Sheeran arrived on the scene with his award-winning album, +, it was hard to believe he’d be able to top the effort. So, as with any second release, we approached x cautiously, not wanting to get our hopes up too high but knowing that they were already impossibly high. However, as luck may have it, the 23-year-old singer-songwriter is more than up for the challenge as his new release meets all expectations he has set for himself, and sets some even higher. 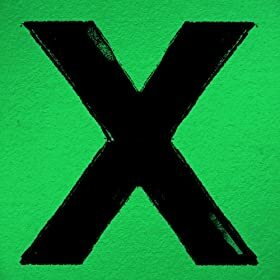 x is a true testament of the red-headed singer’s talent, showing that he isn’t just a one hit, or one album, wonder as he showcases his maturity. This is the same Ed Sheeran that fans know and love, and yet it isn’t. Slipping into this record is comfortable in that it is obviously the same singer, but he has managed to change the right amount of things to make x feel fresh and interesting. What’s most noted about x is that it finds Sheeran exploring the urban influenced sound we got a glimpse of from "You Need Me, I Don’t Need You" and his EP, No.5 Collaborations Project. One of the standout tracks, "The Man," shows the singer’s rap skills as he soliloquizes about a romance lost to to his musical career and his fears of getting lost in the fame. Quickly following "The Man" is another standout, "Thinking Out Loud." With a sound reminiscent of Marvin Gaye’s "Let’s Get It On," it is probably Sheeran’s best love song. It captures what it’s like to find a love that makes you think about the long term. It’s cute without being cloying and it will certainly arrest the love of fans new and old. It’d be remise of us to not mention that the deluxe edition is worth the extra couple of dollars, as some of the best tracks on the album are found within the bonus tracks, especially "Even My Dad Does Sometimes" and "I See Fire." If we had had it our way, he just would have released a 16 track album and called it a day, because the four bonus tracks are well worth being included on the regular edition of the album. Funnily enough, if we were forced to pick out the weakest song, it would be "Sing," but even then it’s still a great track. All in all, in x we find Sheeran at his best. Usually we get a little antsy when we have to wait three years between albums, but the singer certainly did not let us down. It was well worth the wait, and if he needs another three years to give us something even more amazing, well, at least we’ll have this marvelous release to keep us company. x is out now via Atlantic Records.